Having grown up in the Amish faith, author Jerry Eicher treats his fast-growing readership to his firsthand knowledge in "A Dream for Hannah". Hannah Miller's Amish faith is solid. Her devotion to her family and Indiana community is unquestionable. Yet her young spirit longs for adventure and romance. As troubling circumstances give her good reason to spend the summer at her aunt's Montana horse ranch, Hannah soon discovers she has much to learn about life and love. Her heart is awhirl with emotion as she dreams about her future. Sam, the boy Hannah has known all her life, is comfortable and predictable. Peter is the wild one, the boy who is on rumspringa. And Jake is unpredictable, intriguing, and living in the Montana wilderness. Hoping for a dream come true, Hannah must decide how to fulfill her heart's desire while staying true to her faith. A Dream For Hannah by Jerry S. Eicher was published by Harvest House in June 2010 and is our 13983rd best seller. The ISBN for A Dream For Hannah is 9780736930451. 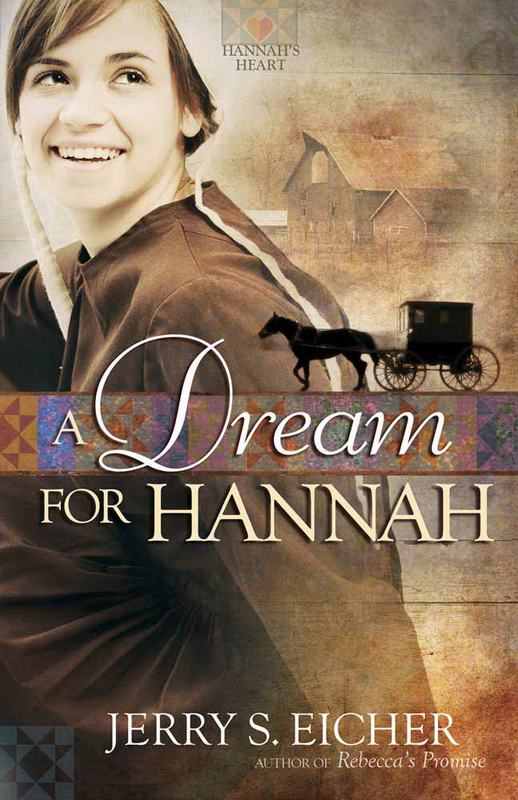 Be the first to review A Dream For Hannah! Got a question? No problem! Just click here to ask us about A Dream For Hannah.